Your brain is a muscle. We exercise this muscle far too much these days; we are “on” 24/7. 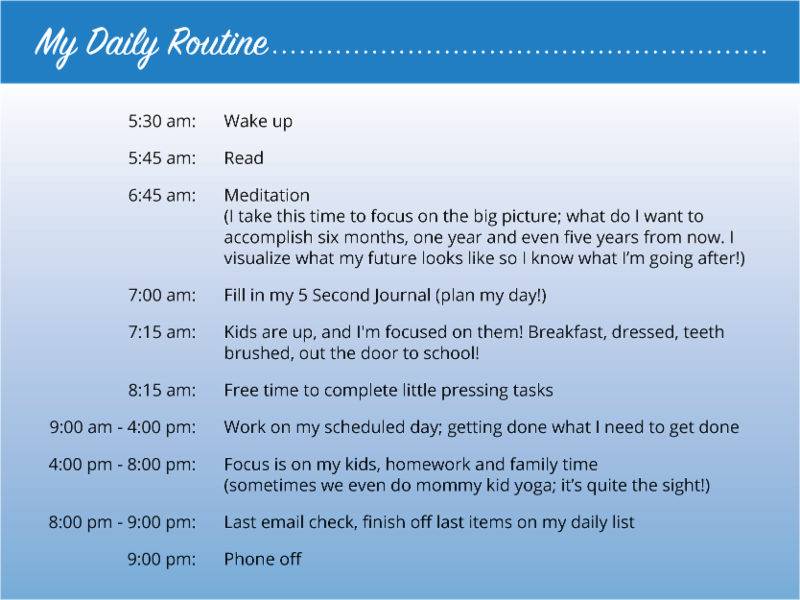 Did you know you could be more productive if you took breaks and architected your morning routine? You think you’re productive? Think again! 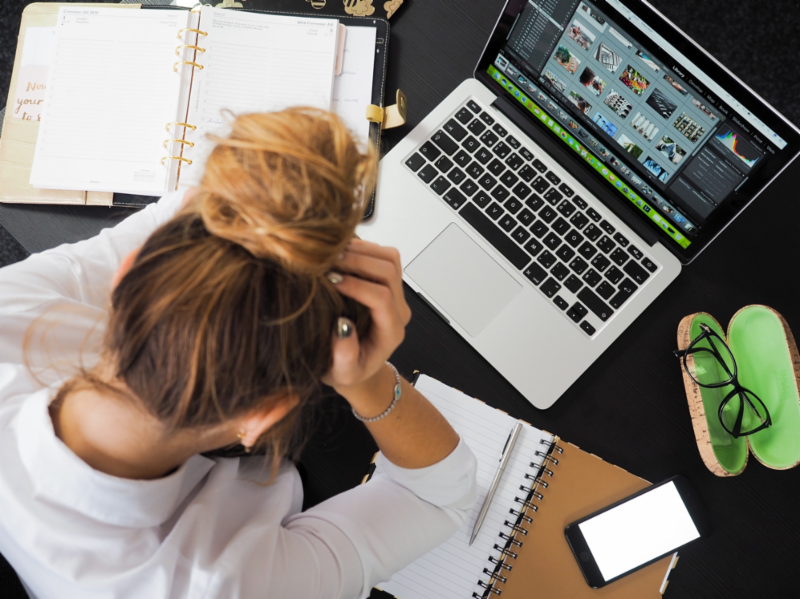 Long hours at work increase your risk of heart disease by 40%, making it almost as dangerous as smoking, reports BBC Capital. Also, the extra hours at work aren’t likely to help you get more done. One British survey found workers were only productive for a little less than 3 hours in an 8-hour workday. It states that you’re better off taking time to do nothing, allowing your brain to enter a resting state called the default-mode network. That precious time gives us space to develop new ideas and make connections that would otherwise go unnoticed. I started to look at my day, monitor the hours I was productive, how many days in the week I worked long hours and put it against the output; the results. I found that I filled my days with to do lists that never quite got done, my head hurt, and I had virtually no time to recover or take care of myself. As a small business owner, my success relies solely on my productivity and my ability to prioritize my day. Through this realization, I decided it was time to curate my day around when I was most productive and decided to schedule breaks throughout the day to give my brain a rest. In Daniel Pink’s book When, I learned that each of us has a specific chronotype and that our chronotype changes with age. The chronotype, as Pink describes them, are as follows: larks, owls, and third birds. Our chronotype dictates when we are most productive or unproductive. To simplify Pink’s findings, larks are most productive in the early morning, whereas owls are most productive at night, and third birds (which is the majority of us) are most productive mid-morning. Pink also describes breaks as being restorative. As I mentioned earlier, longer hours (without breaks) can increase your risk of heart disease by 40%, making it almost as dangerous as smoking! It is essential not only for your physical health but also your mental health to have some balance and reprieve from your daily, never-ending, task list. Once you have figured out your chronotype and your most unproductive time of the day, you will know when you should schedule breaks. There are different types of breaks that work for different people. For myself, I like to take breaks and fill it with yoga, meditation, or social phone calls (to talk about anything other than work). 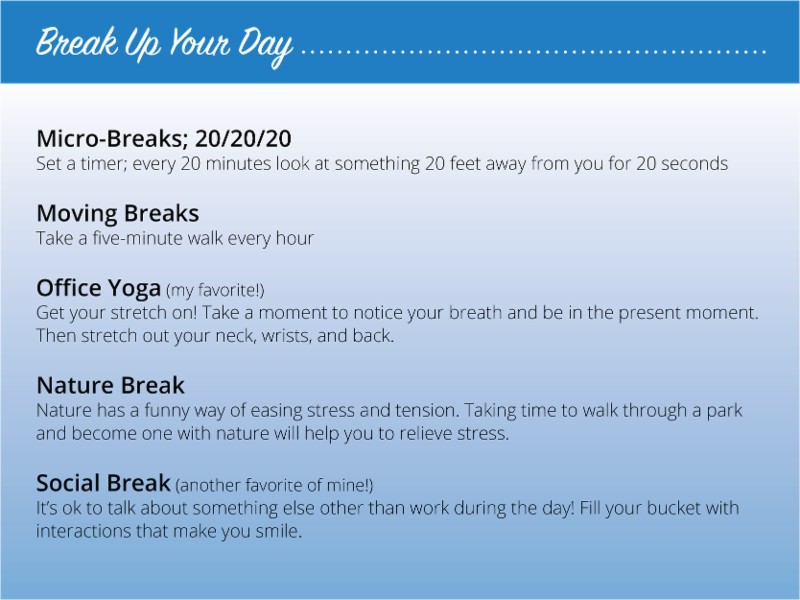 Here are some different type of breaks you could insert in your day. Do you need help taking a break? Here is a trick that I learned from reading Pink’s book When: have a small cup of water at your desk (instead of the giant sized ones most of us now have); this forces you to get up and fill it up. You will fill yourself up at the same time! 3. I architect my morning routine & plan my day! If you follow step one and two, you’ll have a great foundation to now architect your day. Planning is half the battle! Invest time every morning in your day. Architecting your day will provide you with a blueprint for success! Author Mel Robins and her 5 Second Journal have played a significant role in constructing my day. Mel has you gauge how your feeling (bringing you into the present), write down why you are feeling that way, and what activities you can do to feel more energized. She then has you write down what your primary project is, why it is important, and the one step you can take to move it forward. My favorite (and most used) section of the 5 Second Journal is the Brain Dump! Mel suggests that you write down everything that is on your mind and then schedule the important stuff; putting everything of priority on the radar and creating your “not to do today” list for you! Create a blueprint for your day that allows you to be both productive and balanced. Try a variation that works for you! You owe it to yourself to take a break, work when your most productive, and move forward in life and business. The way you start your day will dictate your future. If you are looking for incremental sales growth this conference is not for you. If you want to disrupt and revolutionize your industry, register for America’s #1 Customer Service Conference, October 24-25th. A former Customer Experience Executive of multiple TDG clients, Katie has been working with the X-Commandments methodology since 2011. She is also an instructor in the CXE Academy. 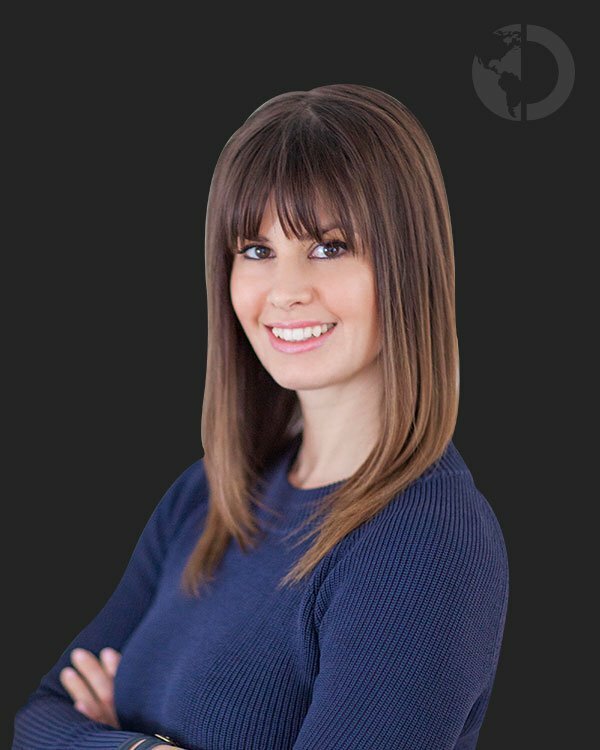 Katie   has over 15 years of experience in Customer Service, Adult Training and Development, Operations, Marketing, and Sales, in the retail and medial industries. She has a passion for people and seeing growth, creating leaders that move results through their people.